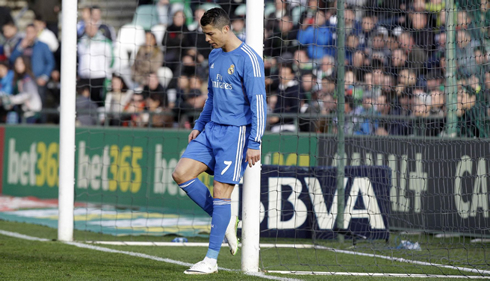 There was not much Betis could have done against Real Madrid this Saturday afternoon and much less with the Merengues performing at their finest level. 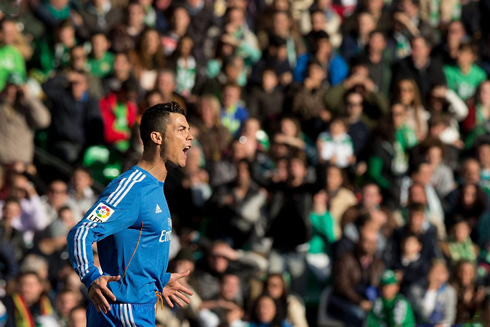 The visitors routed Betis by 0-5, with goals coming from all over the place. Cristiano Ronaldo, Bale, Benzema, Di María and lastly Morata, all added their name to the scoresheet, as they secured another easy win for the Madrid side. Real Madrid have easily cruised past Betis this Saturday, after pulling off an emphatic 0-5 win that temporarily puts them level with Barcelona and Atletico Madrid on the top of the league. 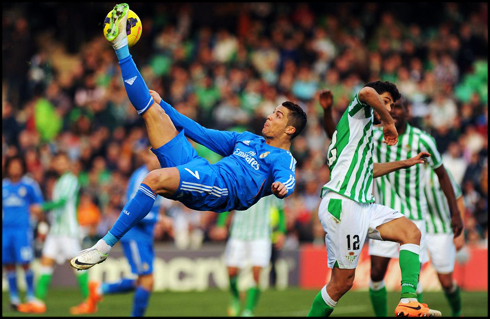 It was Cristiano Ronaldo who opened the door for Real Madrid's goal fest at the Benito Villamarín and he has done it with a powerful long-range strike, that basically left Betis' goalkeeper nailed on the floor. Goals from Gareth Bale, Benzema, Di María and Alvaro Morata followed up Ronaldo's masterpiece and the Merengues managed to also complete their 5th straight game without conceding a single goal. 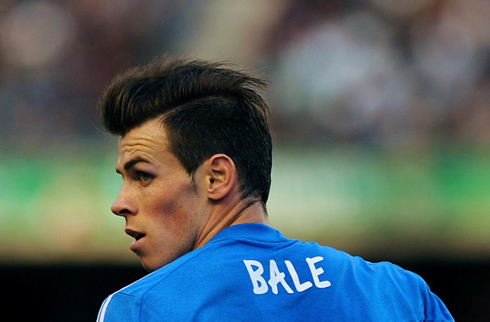 Next Tuesday, Real Madrid visits Espanyol, for the first leg of the Copa del Rey quarter-finals. 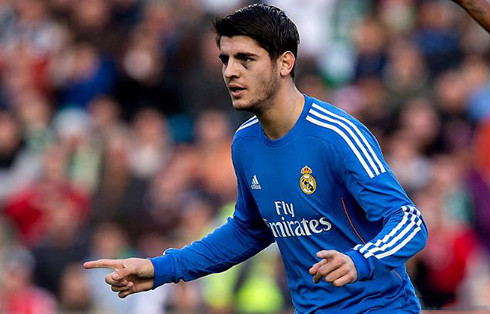 With another clean sheet completed this Saturday evening, Real Madrid is yet to concede their first goal in 2014. The team is looking more solid than ever before and Ancelotti seems to have finally found the perfect balance between the stability in defense and Real Madrid's characteristic high paced attacking football. Xabi Alonso and Luka Modric have been pivotal in the way this side has improved lately and even though it might sound harsh to say, the truth is that Sami Khedira's injury might have eased things in terms of forcing Ancelotti to play a more attractive type of football, as well as controlling opponents in a more dominant way. Therefore, it didn't come off as a big surprise to see Real Madrid taking the lead around the 10th minute of the first half. Cristiano Ronaldo picked up a short pass from Angel Di María in the center of the pitch, moved forward a few more meters at high speed and then released a rocket that only stopped after hitting the back of the net. The 28-year old forward made his presence felt very early in the game, but there were more players in blue waiting in line, eager to also do some damage to this weak Betis side. The third goalscorer in the game was Karim Benzema and it was far from being a meaningless goal for the French striker, since it was actually his 100th goal for Real Madrid. It all happened very near to the half-time, when Modric showcased all his technique and class when he drew to himself several Betis defenders, just before sending a short and low pass to Benzema. The France international was in a great position to go for goal and that's precisely what he has done there with a first-touch strike. With the 0-3 on the scoreboard and 45 minutes still left to be played in the second half, the 3 points were already virtually assured. The slaughter at the Benito Villamarín wasn't over yet though and Real Madrid reached their 4th goal in the 61st minute, through another long-range shot, this time coming off Angel Di María's foot. The 25-year old winger took his chance from a bad clearance that followed a Modric's corner and struck the ball without hesitation to score his 3rd goal in La Liga this season. Even though he has been very criticized a lot over the last weeks, the Argentina international has already scored 8 goals for Real Madrid in all competitions and is only 1 goal short from matching his top goalscoring season ever in Spain. Cristiano Ronaldo next game for Real Madrid will be against Espanyol, next Tuesday night, for the Copa del Rey quarter-finals (January 21, 2014). You can watch Juventus live stream, Espanyol vs Real Madrid, Levante vs Barcelona, Chelsea vs Manchester United and Swansea vs Tottenham, all matches provided from our soccer live section.